If anything urgent comes up, please email someone else. 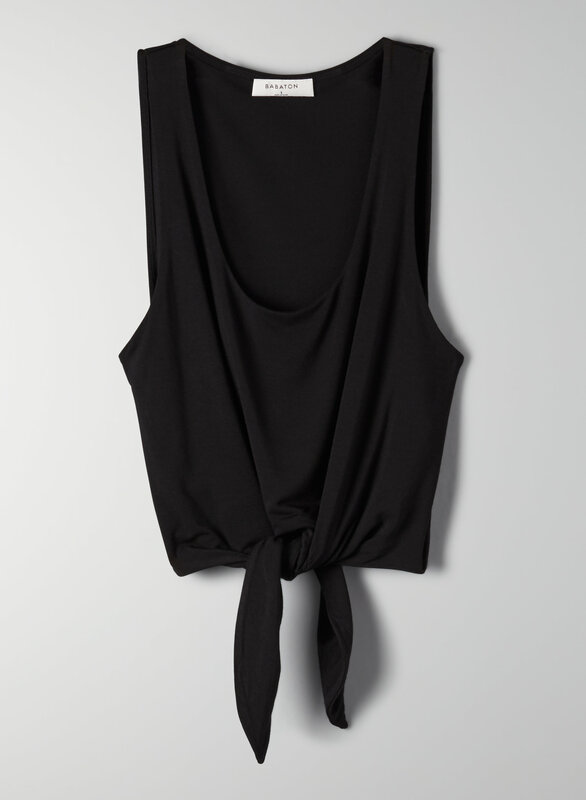 This is a cropped tank with an adjustable self-tie detail at the front. It's made with a stretch fabric that has a nice drape.